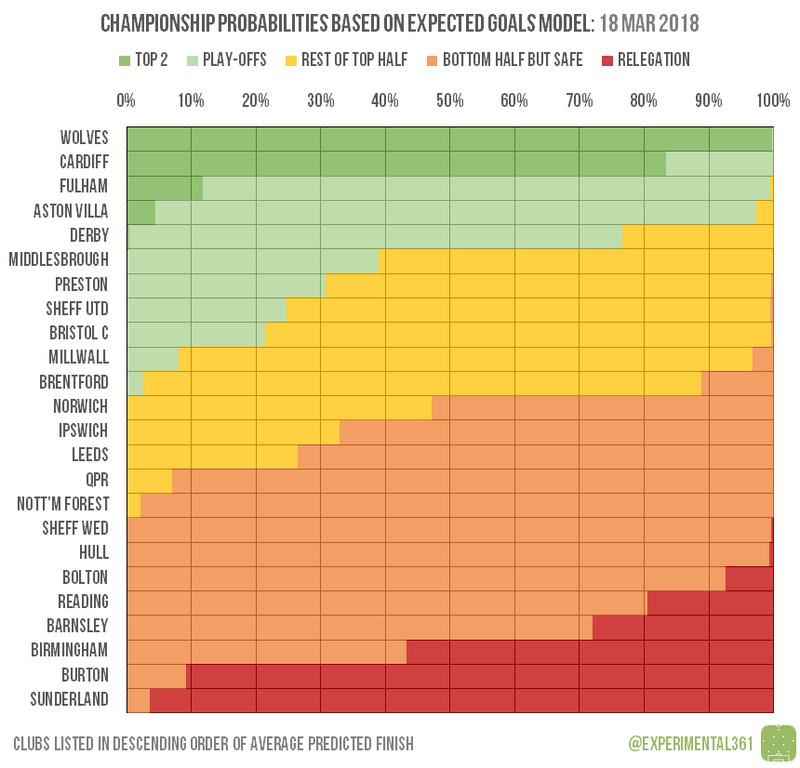 Wolves are still the team to beat, while Aston Villa‘s recent blip wasn’t that unexpected given that they haven’t been anywhere near as dominant in expected goals terms this season. Birmingham arrested Hull‘s rise with a convincing win, but fellow relegation battlers Sunderland‘s decline shows no sign of slowing and – as we’ll see below – they look set to slip quietly into the third tier. With Fulham held and Aston Villa losing, the top two look pretty likely to stay in the automatic promotion places. All three divisions have a play-off race that’s wide open: here we have Derby looking likelier than not to join the current top four in the final top six, but the last berth is being scrapped over by at least four teams. 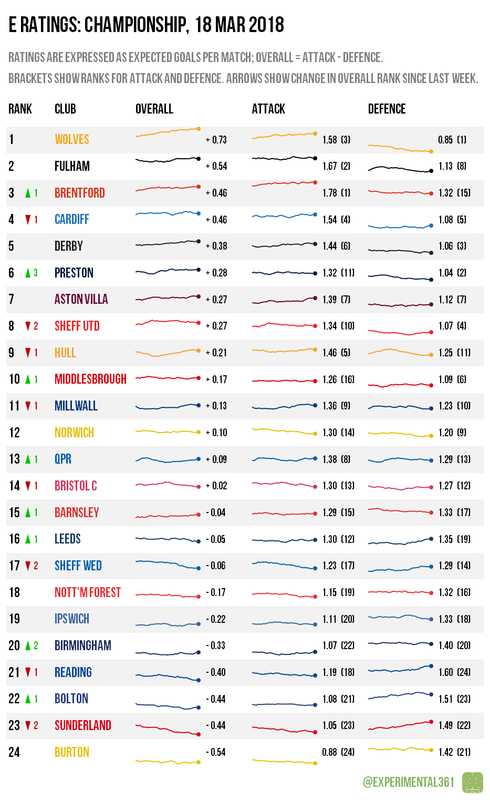 At the bottom it’s looking like curtains for Sunderland and Burton, while Birmingham need more results like the one this weekend to drag someone else into the bottom three.